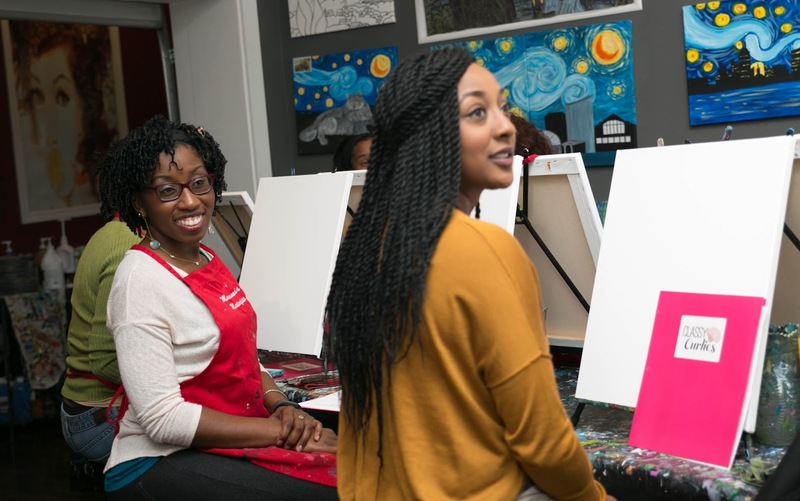 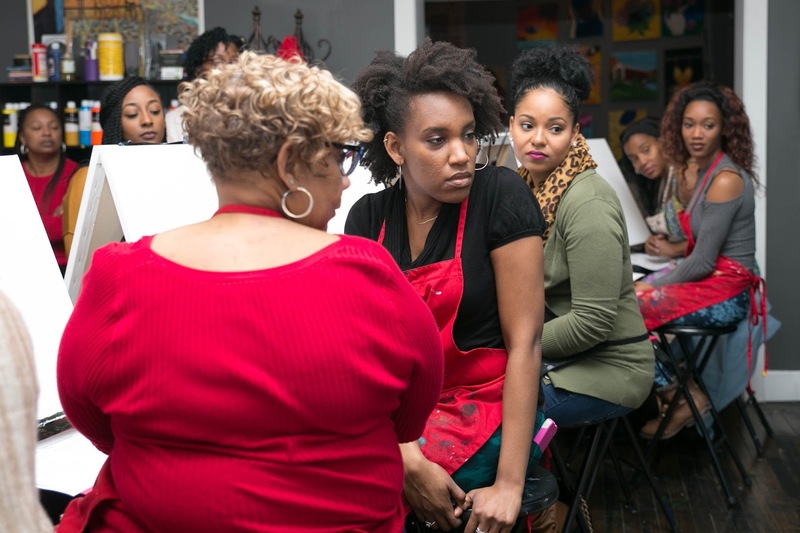 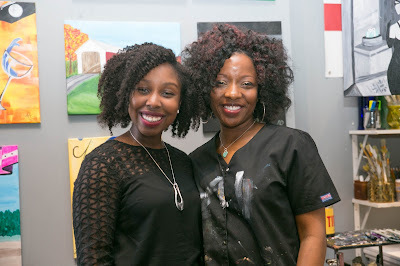 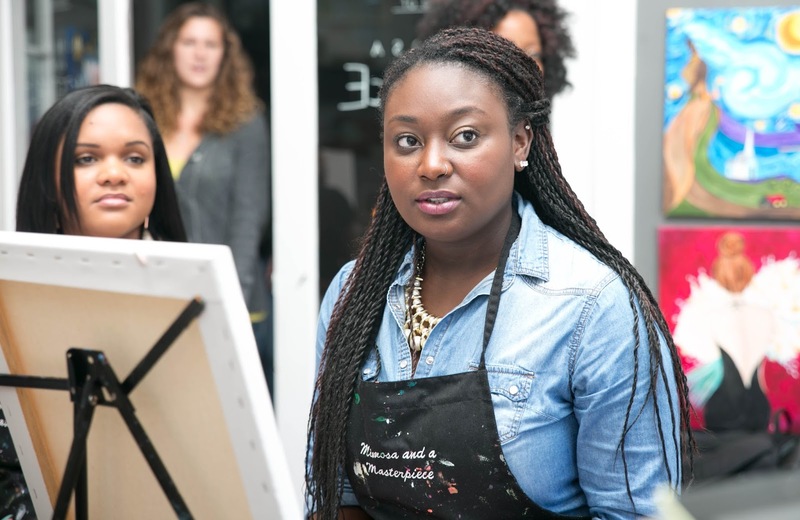 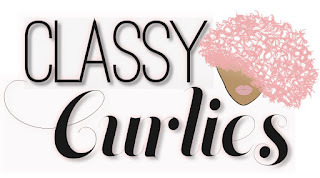 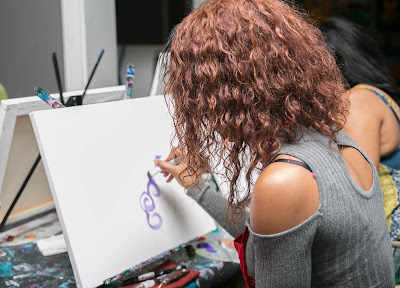 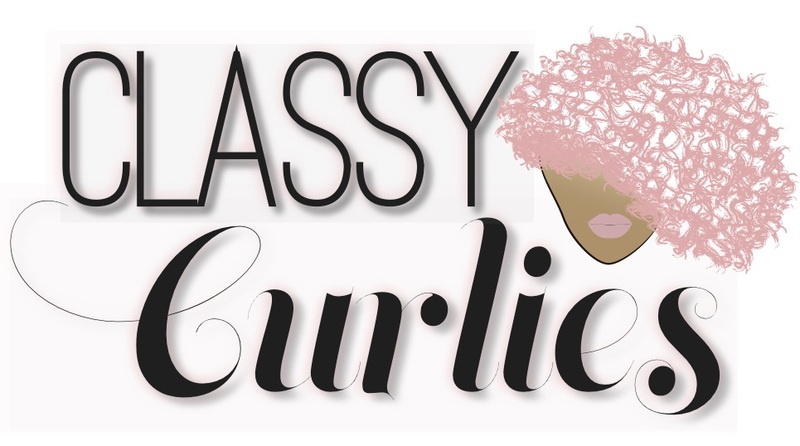 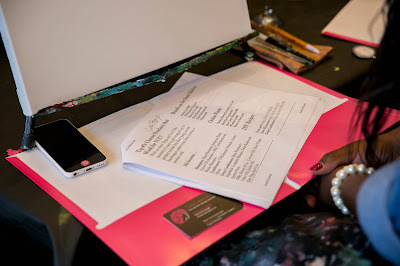 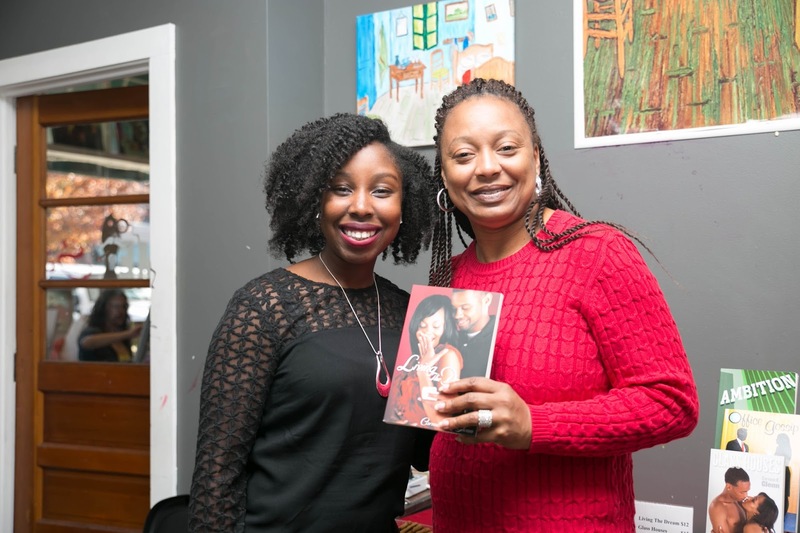 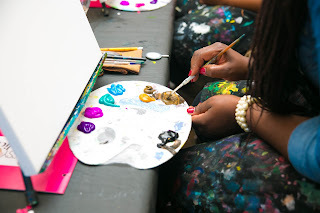 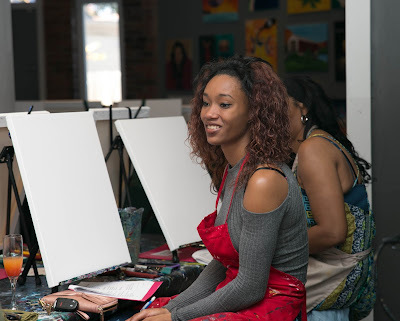 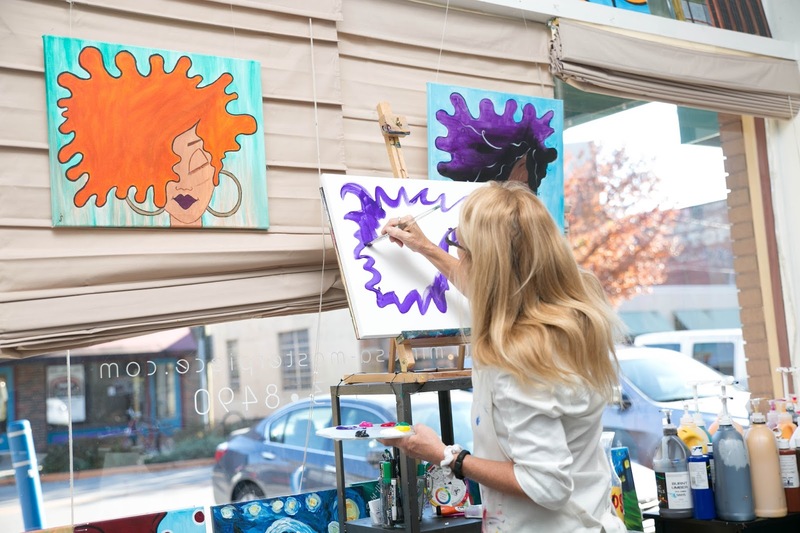 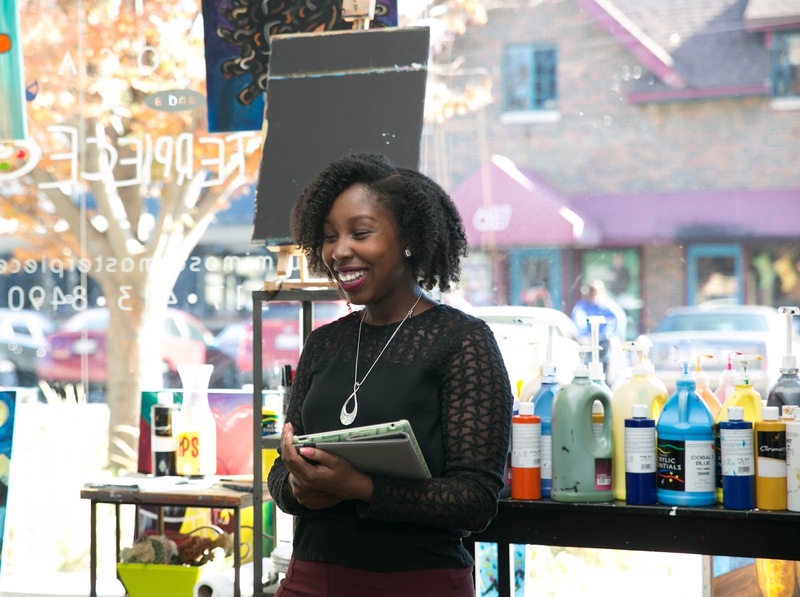 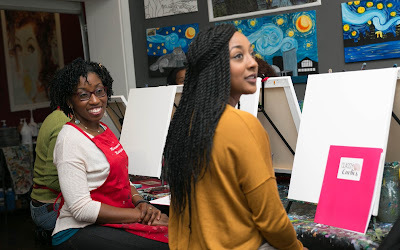 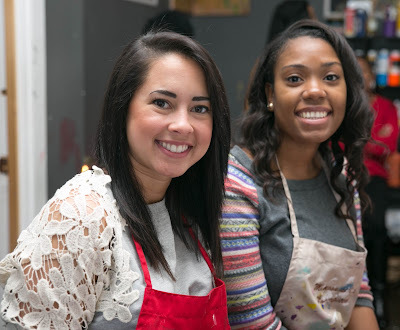 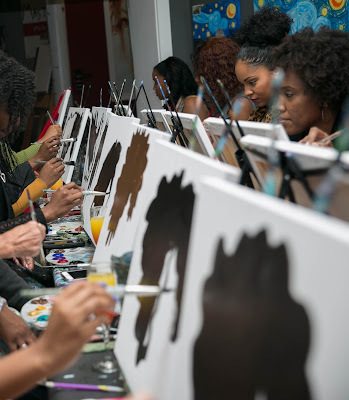 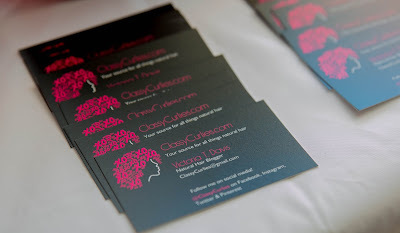 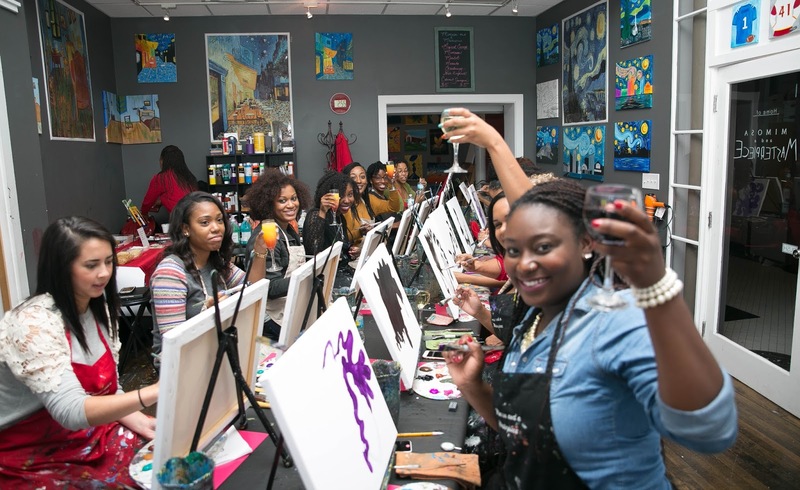 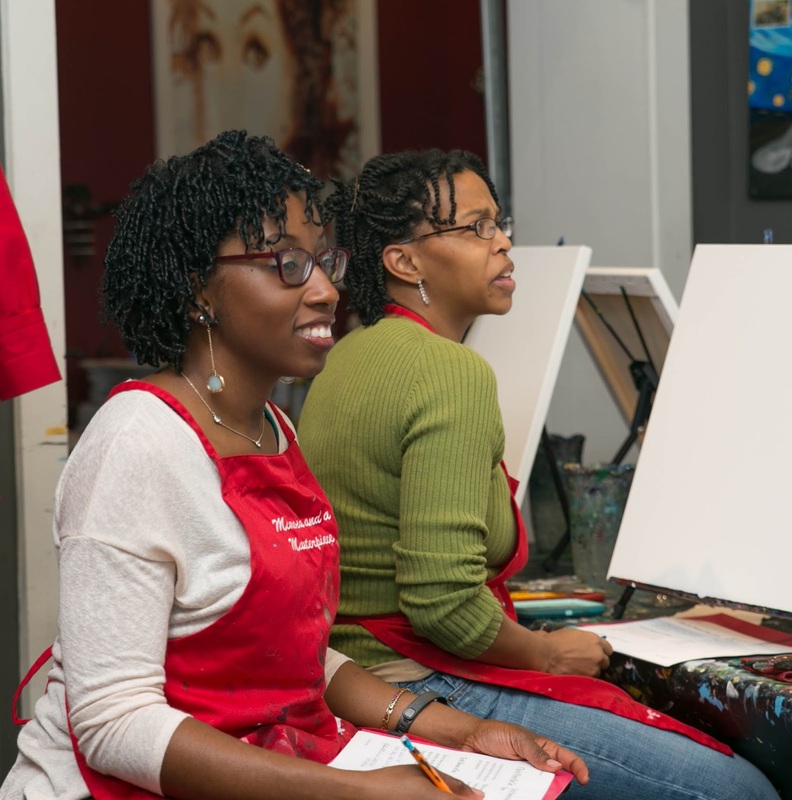 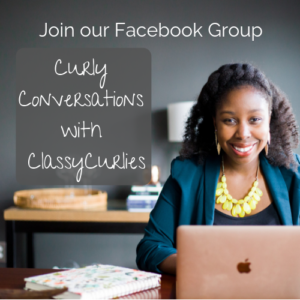 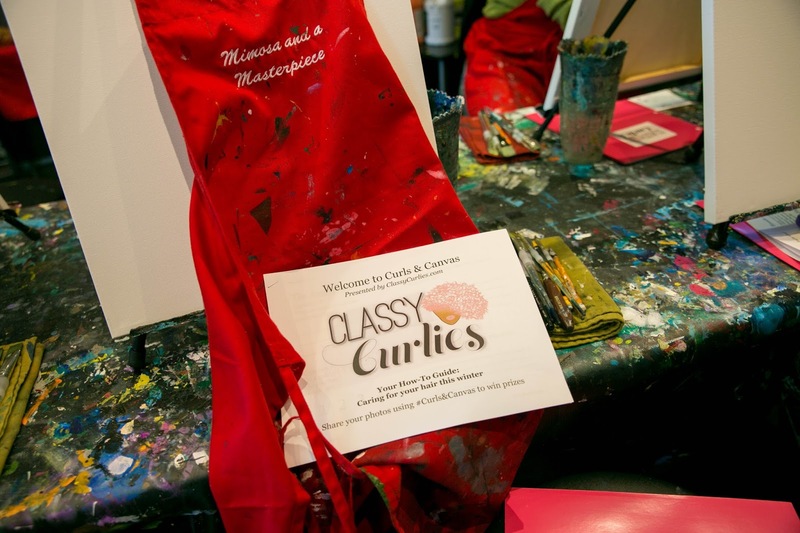 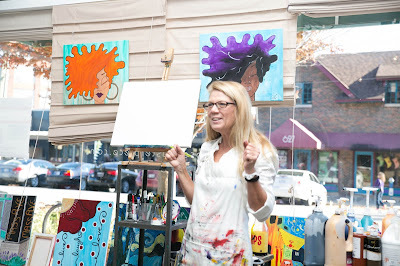 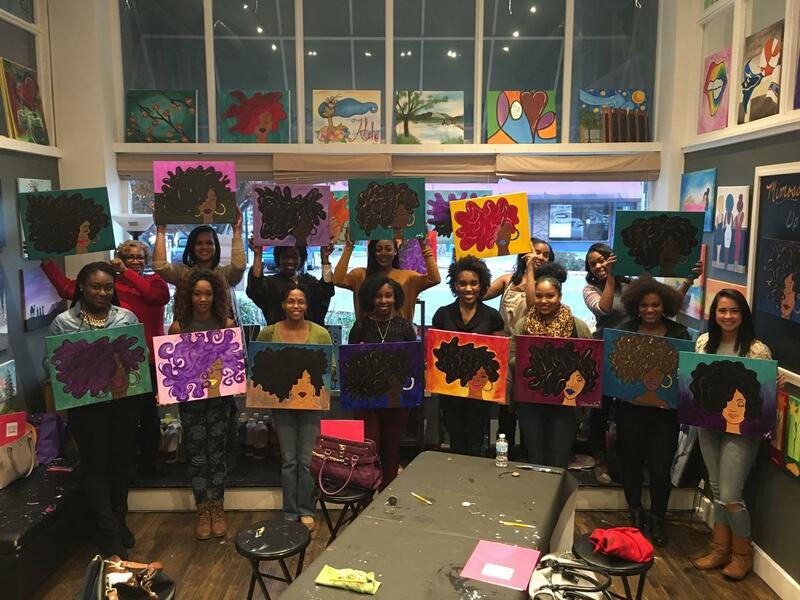 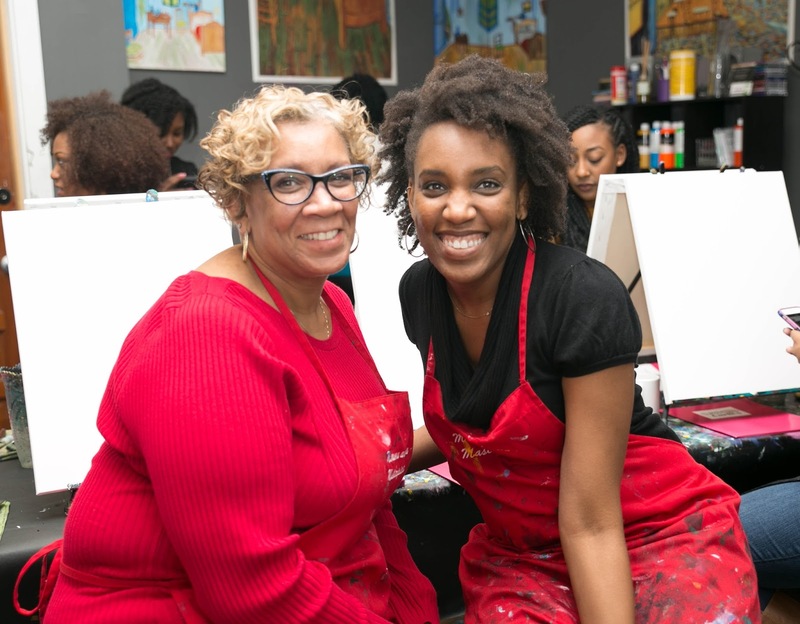 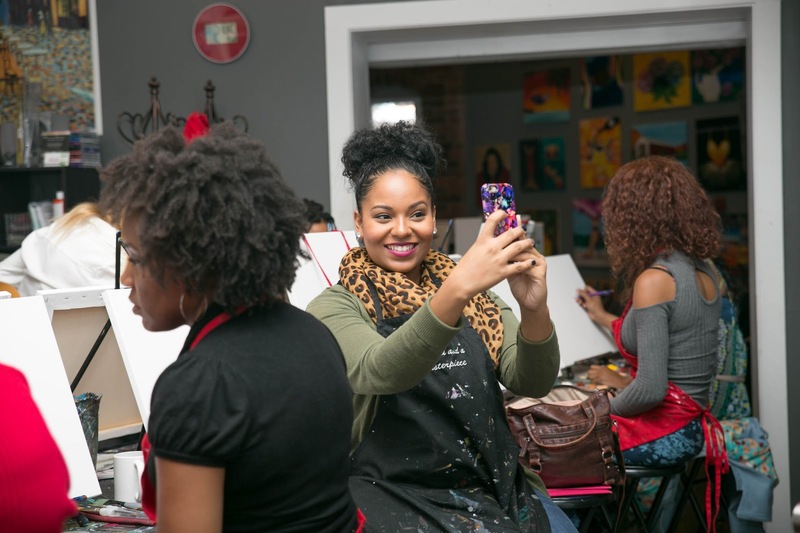 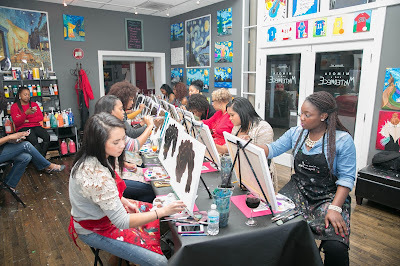 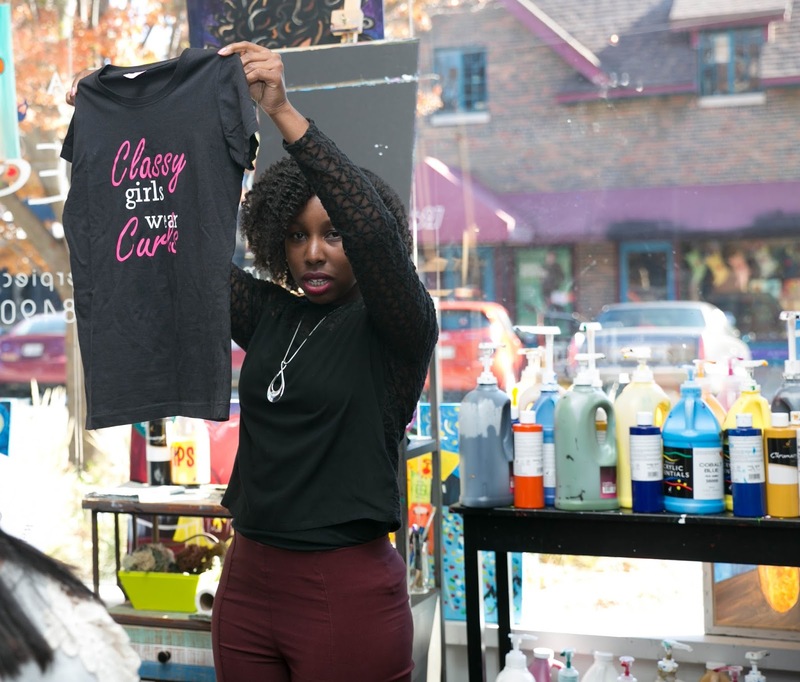 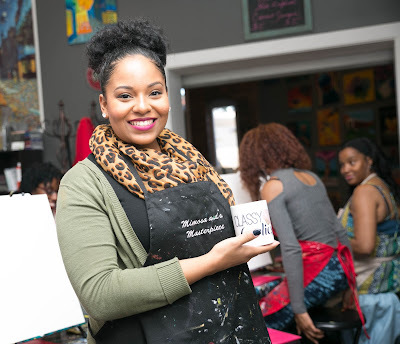 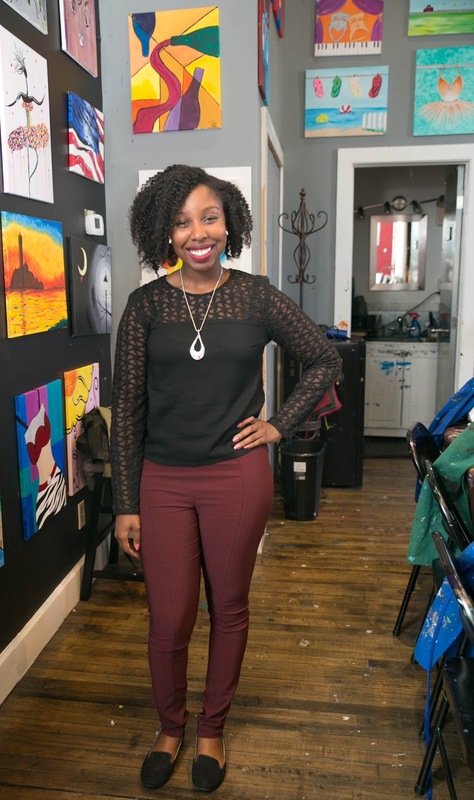 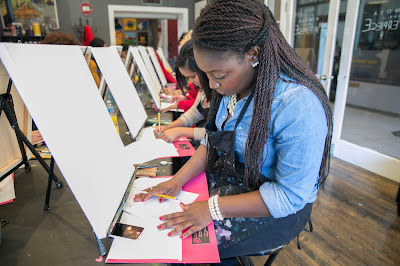 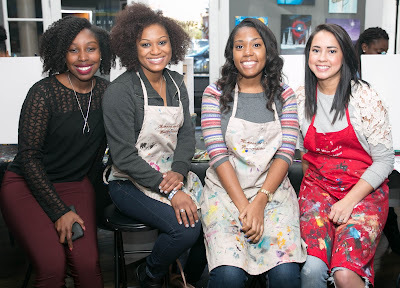 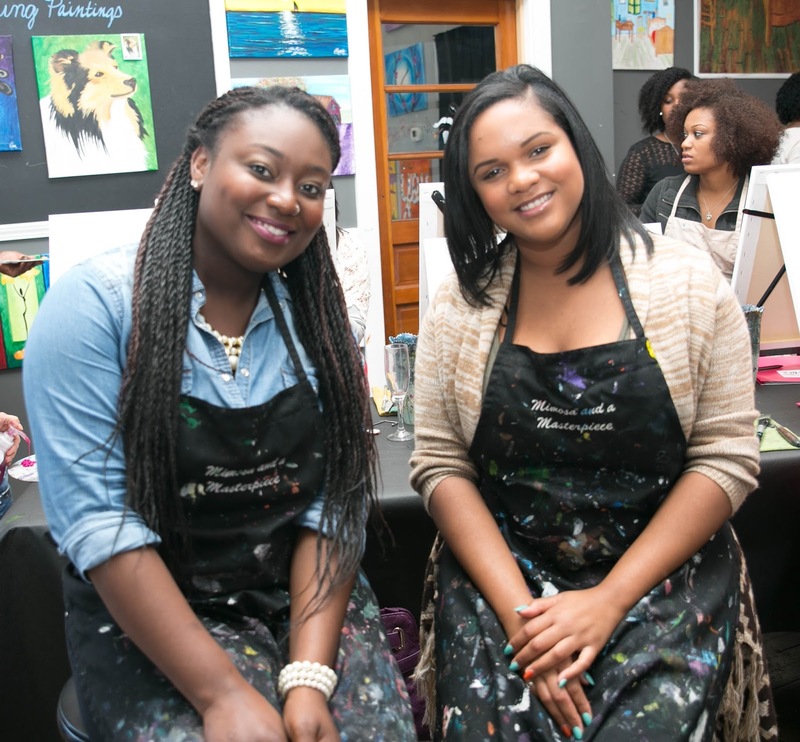 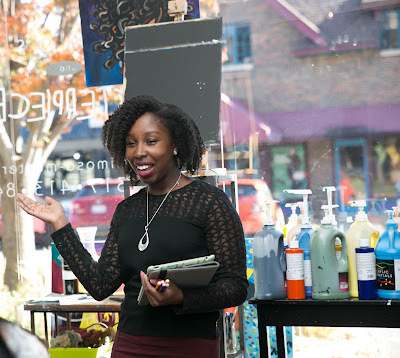 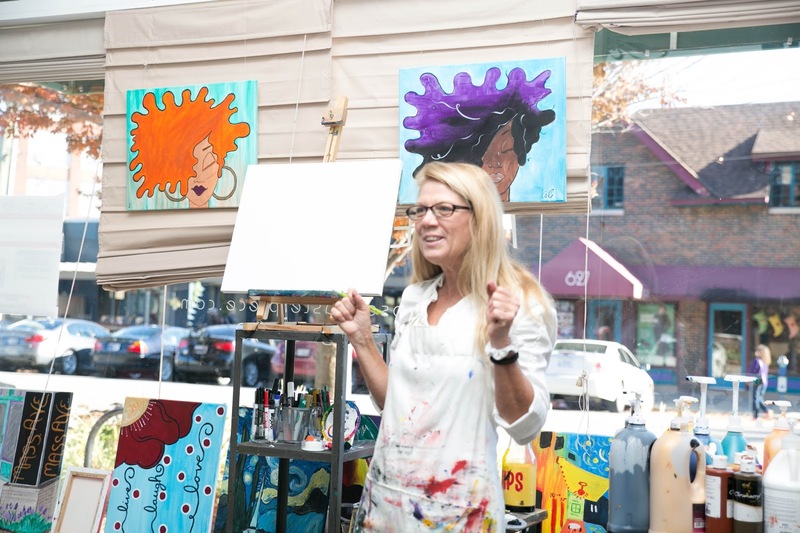 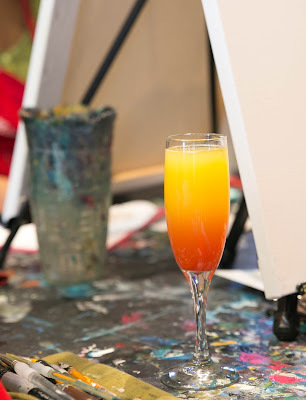 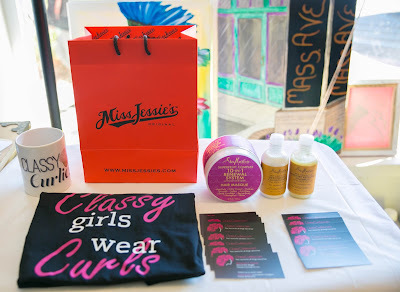 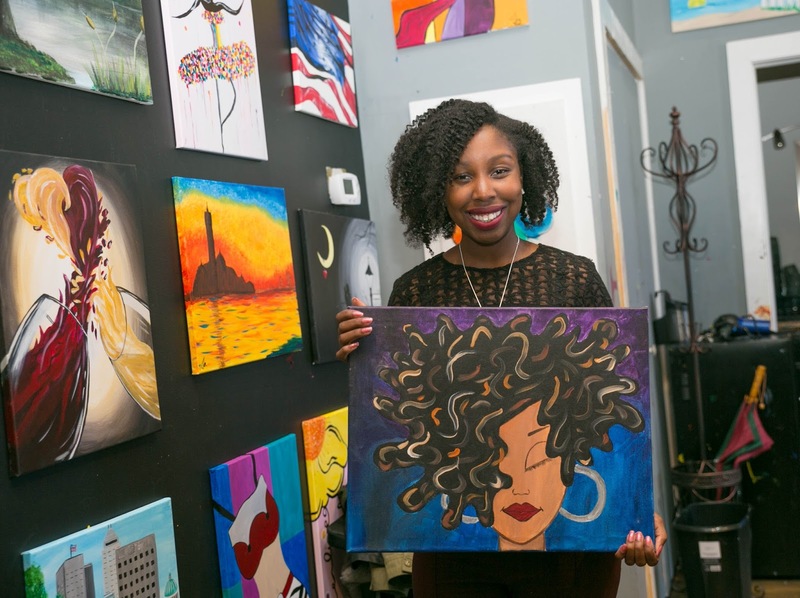 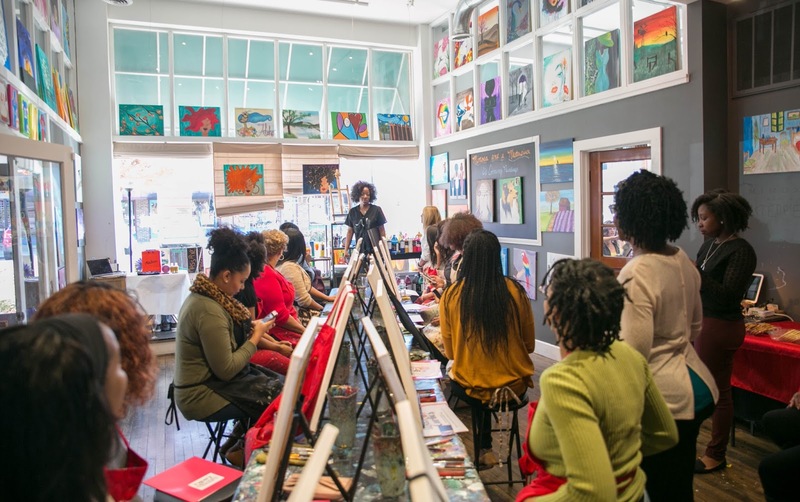 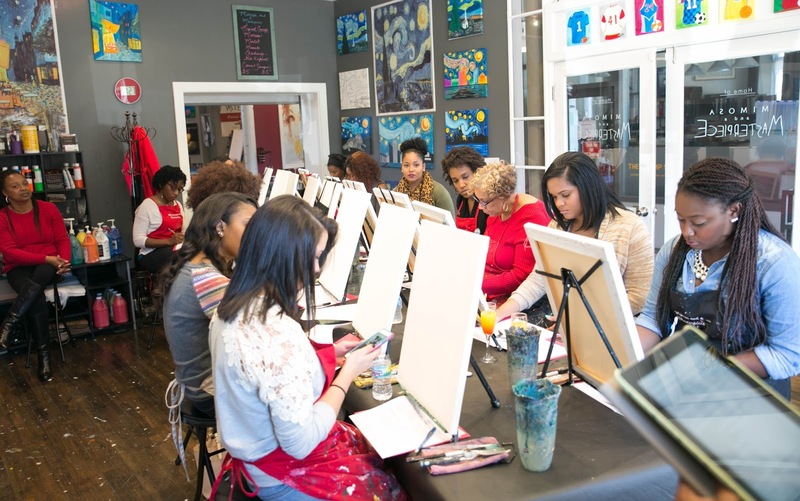 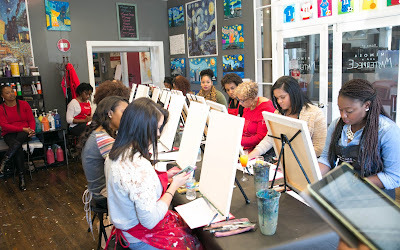 Curls & Canvas Indianapolis was a success and there was actually a waiting list! 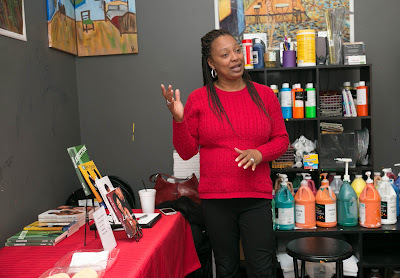 I want to thank everyone who attended, wanted to attend, had intention of attending and those that supported in other ways. 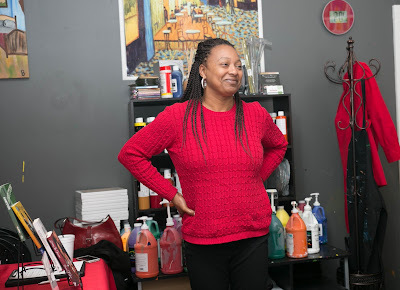 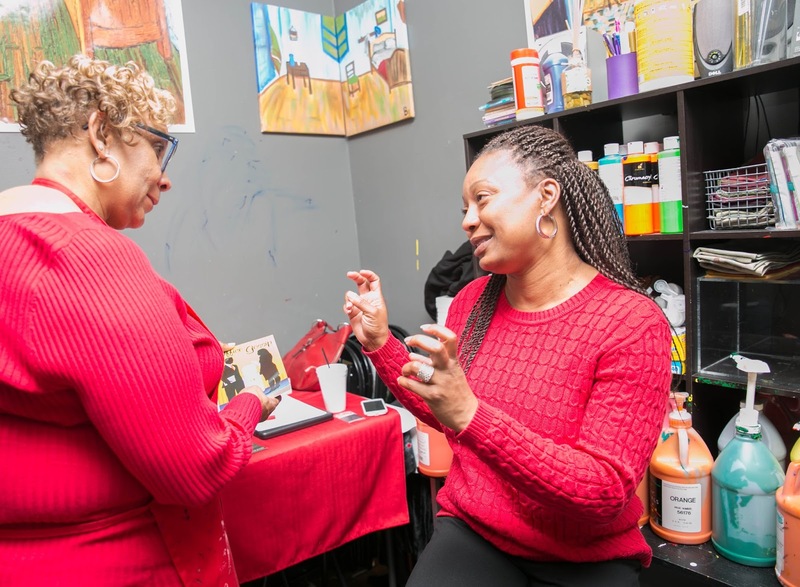 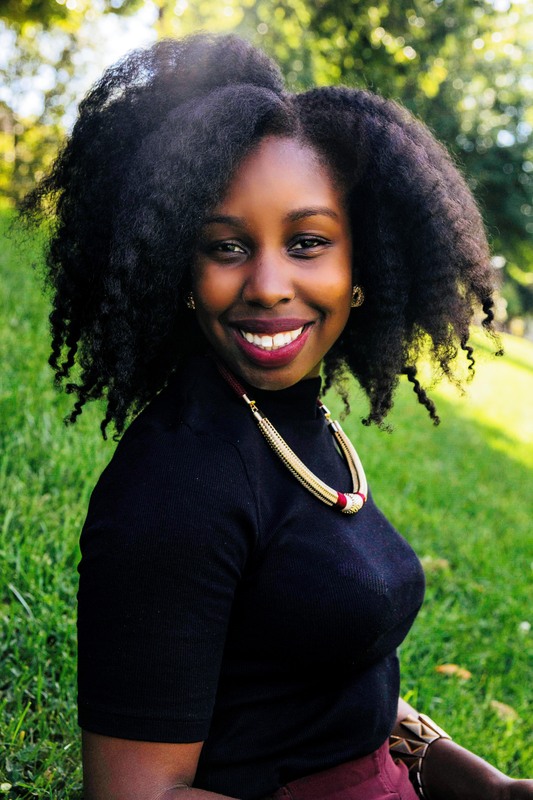 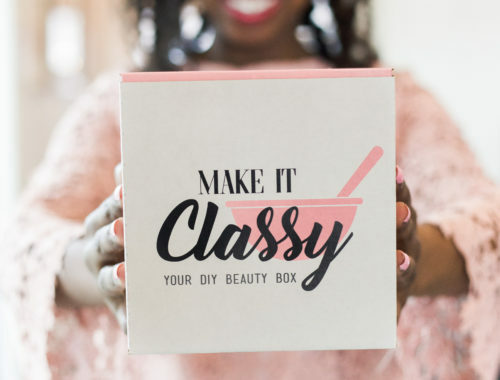 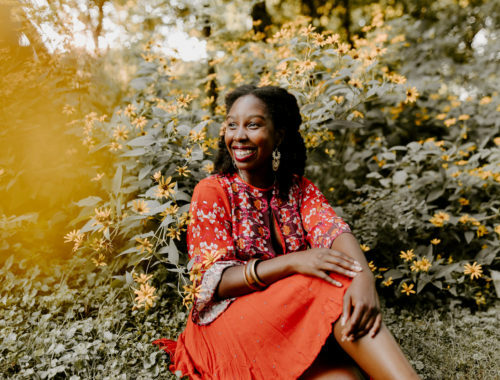 We had a great time as attendees learned how to care for their curly hair this winter season while also creating a masterpiece that went perfect with the event. I can’t thank you all enough! 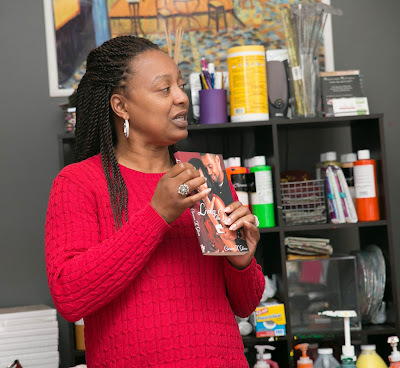 We also had author Carmen K. Glenn in attendance to talk about her (great) books! 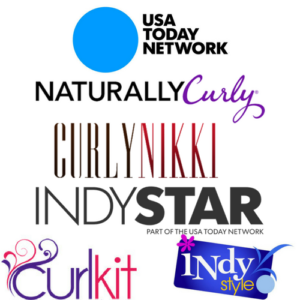 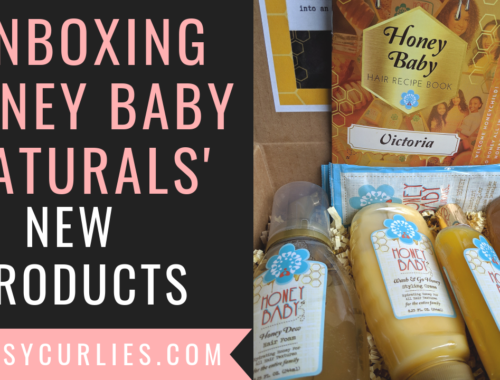 For more information on here, click here. 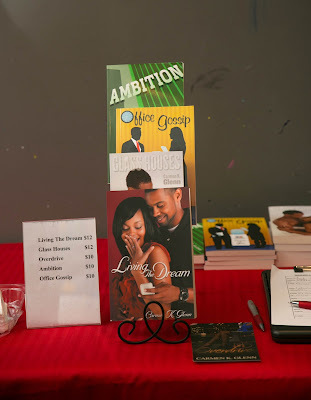 Below are photos from the event. 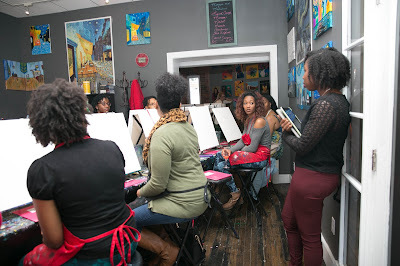 Stay tuned in 2016 for the next event! 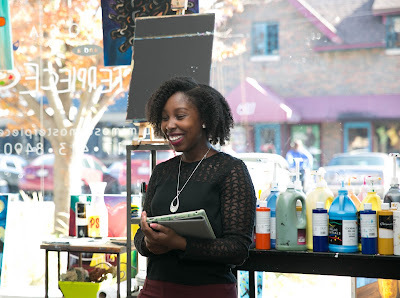 Myself speaking about how to care for your hair this winter. 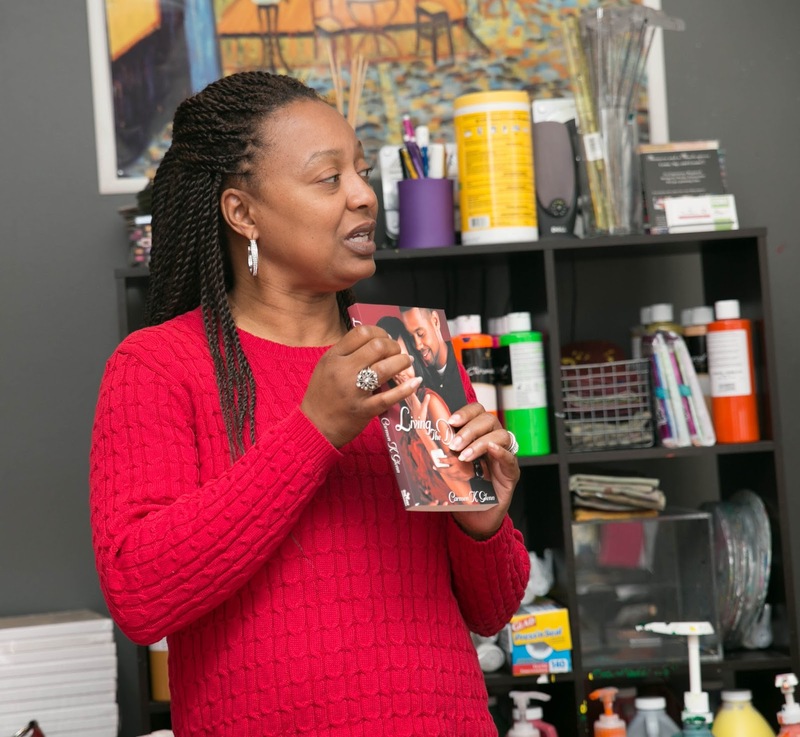 Author Carmen K. Glenn speaking about her books to attendees. 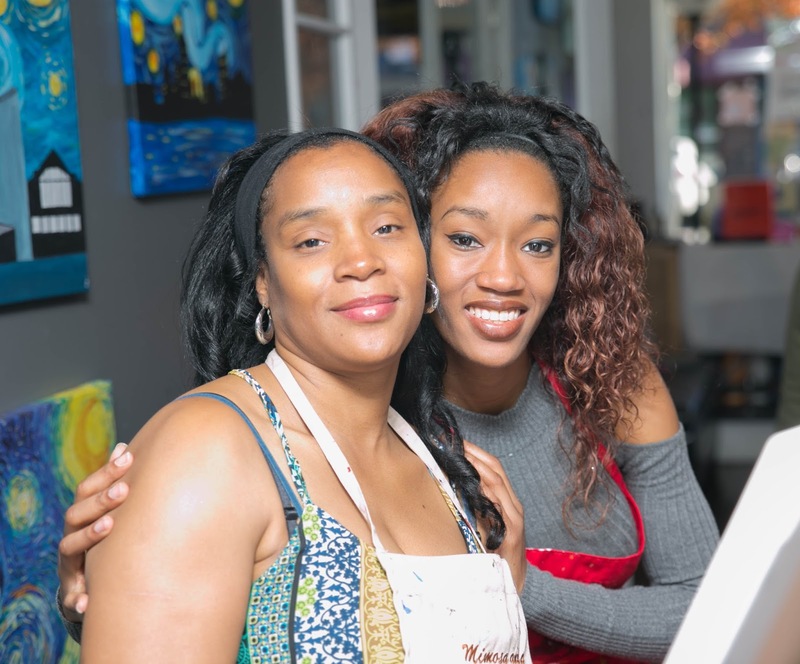 Tajuana, owner of Mimosas and a Masterpiece and myself.